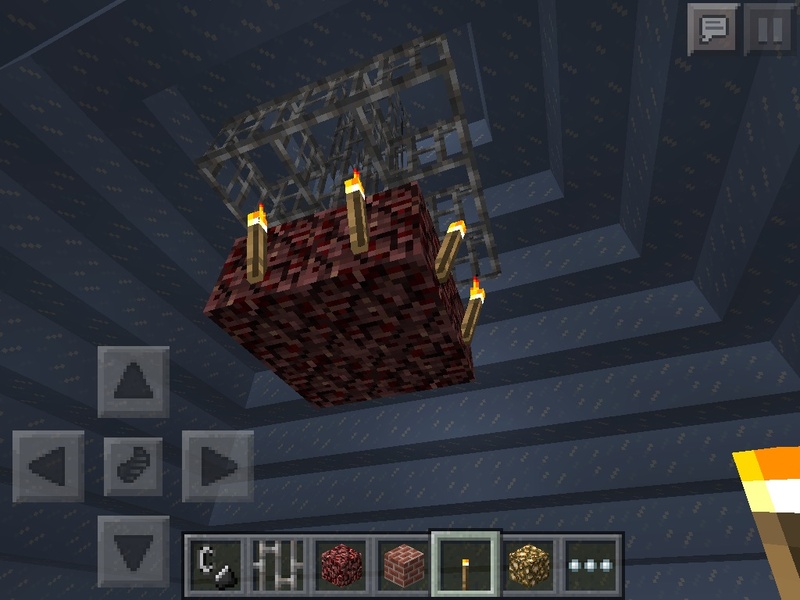 You have to have a lot of bars (as many as you want,) 4 nether rack, & 8 torches. On a ceiling, be creative! Put them in any order or style. On the bottom, when done put them a square. 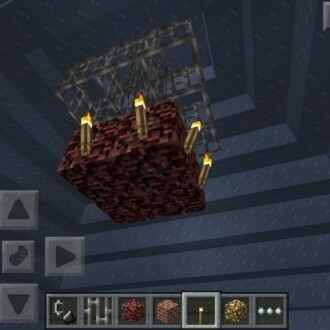 Then put the 4 nether rack in a square & put the torches around them. Now enjoy your new chandelier!